Many diet and nutrition articles and guides that leave you with more questions than answers, summarizing everything up in a few paragraphs and sending you on your way. By sharing a more in-depth view into nutrition you’ll be better prepared to succeed in your weight and fitness goals. Many topics regarding nutrition are controversial and you can find ‘research-backed’ opinions on both ends of the spectrum on a whole host of topics, with one piece of research often completely contradicting another. Much research is flawed or funded by organizations or businesses with vested interests. Many newspapers and magazines pick up on a single piece of research or an opinion from one nutritionist and write a piece reaching thousands of people. Something is obviously very wrong when 60% of adults in the UK are overweight, with around 25% falling into the obese category. There’s a lot at stake for getting this right, and not letting yourself be a statistic.One of the first things I notice when I return to the UK is the size of people, and it’s immediately clear that obesity is a huge and common issue and on the rise. I believe the reasons for this are mainly: the size and frequency of our food portions, confusion and lack of education about what to eat and lack of exercise. This confusion and lack of education is worsened by the media and government, who aren’t doing a very good job and are sending out a lot of poor informed and mixed messages. Our bodies are designed to move, and our modern lifestyles and the accompanying lack of movement is breeding a whole host of diseases and injuries. By moving our bodies and exercising we’re helping reduce the incidence of these diseases and improving the quality of our lives in many ways. However, some people overestimate the effect that exercise has on weight loss. To look great and for overall health and wellbeing, exercise is equally as important as diet… but if your main goal is weight loss then diet is more important than exercise. Exercise alone will not ‘melt the pounds right off’. You have to combine it with the correct eating and if you’re eating too much, you won’t lose weight. There are even cases where people gain weight after starting an exercise program, as they reward themselves with a 500 calorie slice of cake after doing an exercise session that burned 400 calories. For a lot of people, exercising and eating right goes hand in hand, and that’s the way it should be. Don’t destroy your hard work by ‘rewarding’ yourself with over-indulgence or over-eating; compliment it with improved lifestyle and dietary choices. Hate to make it so damn simple for you, but to lose weight, look good and extend and improve the quality of your life you probably need to do one thing: eat less. Being armed with that single sentence won’t be enough ammunition to win the battle, so you need to educate yourself, perhaps change some of the things you’re eating by experimenting with different foods and maybe try some techniques that will all be working towards eating less. It is possible to still enjoy the foods you love eating though. 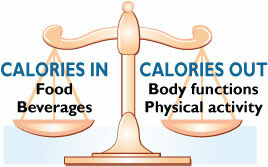 Although it varies a little from person to person, 3,500 calories is equal to about a pound of body fat. Therefore, if you burn 500 calories a day more than you consume you will lose a pound after 7 days. Calculating this is hard of course, but a good start is working out your Basal Metabolic Rate, which is the amount of calories you burn in a day. You then need to consider the amount of calories that you are consuming in your food and drink. This can be done by looking at the food labels of things you consume (or checking online). If you have created a calorie deficit (you’ve burned more calories than consumed) you will lose weight, a calorie surplus (consumed more calories than you’ve burnt) means you will put on weight. Constantly counting how many calories you’re consuming can be depressing, annoying and restricting, and is almost always not sustainable. What is less restricting and more empowering is educating yourself on the things you put inside your body so you can make informed decisions and understand the negative and positive outcomes that can be a result of your diet. It is my personal view that a very effective way of creating a calorie deficit is by practicing intermittent fasting. To try and keep this guide coherent and easy to follow I have written another post on this, but in summary it involves taking controlled breaks from eating as a means of better health and weight loss. A good way to start educating yourself is to complete a good diary. Simply put, a food diary consists of you recording everything that you consume for, say, a 2 week period. This includes all food and drink. You can then work out the calorie and macronutrient content (amount of the food that is made up of protein, carbs and fat) and consider other factors such as salt, processed ingredients etc. This can be a great thing to do at the beginning of your decision to learn more and improve the way you eat. It’s a bit time consuming working out the breakdown of the foods you’ve eaten, but consider that part of your education. You’ll soon have a good idea of your main foods and favourite dishes and after a while will develop an intuitive sense of what you’re eating – it’s well worth it, so persist with this. Do it again a few months down the line and compare. Calorie Count is a good site for checking on calorific and macronutrient content of foods. Many people treat diets like a 24 hour job, like a constant grind on their life. This is usually because of food or sugar addictions or a matter of habit. If you’re used to eating processed foods and sweets and having a constantly full stomach then eating correctly will be difficult at first. The good news is that appetite and hunger can be controlled with a good diet and hunger becomes more an indicator for your body’s need for energy, rather than it’s desire for sugar, taste or psychological fulfillment. Recognizing and understanding this is key to success. When we eat foods that are high in sugars and carbohydrates we experience a sharp spike in blood sugar levels. Our body then produces insulin to bring our blood sugar levels down. Unnatural and processed foods cause these fluctuations to be higher and lower than whole, natural food. Think of it this way – you have 2 slices of white bread toast and cereal for breakfast, which are both foods that cause blood sugar to increase quickly. There is a sharp rise in blood sugar levels followed by a crash a few hours later. This crash causes you to become uncontrollably hungry, and mid-morning you feel like you need a snack to keep you going, so you eat a biscuit. This again causes your blood sugar level to rise and crash. Come lunchtime you’re starving so you have a foot long sub with cookie and soft drink. The process continues and the end result is constant hunger and a massive calorie surplus. You wonder how you could ever control your eating when you’re so damn hungry all the time. When you do try to cut down what you eat, you’re so hungry it’s painful. You become frustrated and stressed and so you eat more. This toxic cycle continues and is near-impossible to break. You are constantly hungry and your chronically elevated levels of insulin are causing you to be more at risk of a range of illnesses such as obesity, diabetes and heart disease. In another scenario – you have ham and eggs for breakfast with a slice of rye bread. All foods that have less impact on your blood sugar level. Come mid-morning you have an apple. Your blood sugar doesn’t experience this unnatural rollercoaster of highs and lows, so when it gets to lunch you feel like you could happily eat, but you’re not ravenously hungry. So you eat a sensibly sized meal… You get the idea. So how do you determine which foods affect your blood sugar levels more than others? An index of foods called the Glycemic Index was developed about 20 years ago that indicates the blood sugar level response of different foods. It was first developed to help diabetics but it is used by many people who simply want more control over their blood sugar, insulin levels and hunger. Each food was tested for how quickly the carbohydrates in the food are broken down and converted to glucose; for its effect on the body’s blood sugar levels after consumption. The benchmark food is glucose, which is 100. Low GI foods are considered to be under 55, medium GI foods are 56-69 and high GI foods are over 70. The GI (Glycemic Index) is not perfect – different people may have different responses to food and quantities and other ingredients that may not be known play a part. It is a good indicator though. As a rule of thumb, processed foods are higher on the GI scale and more natural foods tend to be lower. When looking at grains, darker means better – less refined and so lower on the GI scale. So, for example, go for wholewheat or rye bread over white bread. Lower GI foods will have you feeling fuller for longer so try and make up as much of your diet with foods that keep your blood sugar levels low and more stable rather than taking it through the unnatural rollercoaster that eating poorly provides. Not only will you find hunger and weight easier to control, you will also be at less risk of a whole host of other diseases such as diabetes and heart disease. Many people have good results by trying to eat low GI foods, by cutting out high GI foods or switching to lower GI options. You will find that by doing this you will automatically be eating healthier and feeling less hungry. Give it a try. Check out the table for the Glycemic Index or The GI Diet site for an in-depth look and easy to follow information. If there isn’t a food listed at those resources, try Google. If someone asked me what single thing they could do to improve their diet, I’d recommend cutting out all processed carbohydrates. Processed carbohydrates would include white pasta, rice and bread, noodles and anything with added refined sugars. 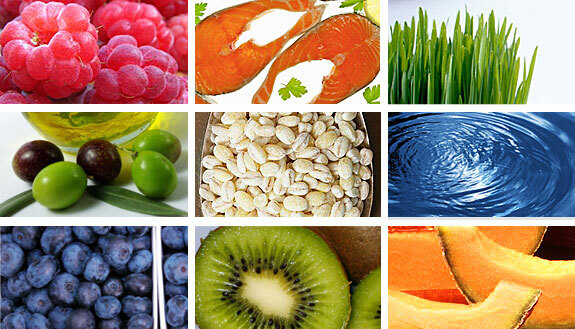 Unprocessed or natural carbohydrates come from fruit, legumes and vegetables. Keep your grain intake to dark bread and pasta and brown rice. By doing this one thing, you’d instantly be eating healthier, more naturally and your blood sugar and insulin levels would be more conducive to good health and appearance. You would be feeling fuller and almost certainly be consuming less calories which would also bring health benefits. Your food would be more natural and nutrient rich. Try and make this one thing your goal for two weeks, and see how you feel. Do you often feel sleepy and lethargic after eating, like you want to slip into a food coma? 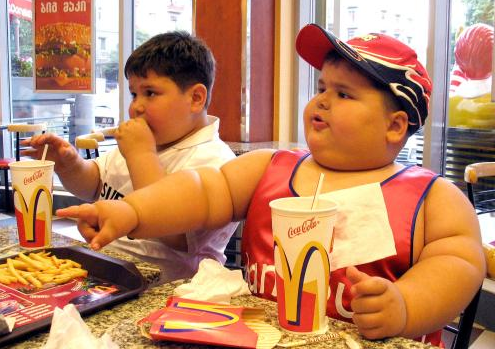 This is a result of eating foods that have a big impact on our bodies digestive and regulatory systems. Eating a large unhealthy meal is pretty much an attack on the body and its functions, and it responds by leaving you feeling sluggish and tired. Food is energy, and so you should feel energetic from eating it. By making smart, natural food choices you can start to feel more driven, energized and more lively, your brain will work harder and your thoughts become clearer. Everyone loves the taste of biting into a doughnut or chocolate bar but surely everyone would put feeling energetic, productive and driven over that short term fix. I hope this post has been educational and interesting up to now, but you’d be forgiven for thinking that I’m advocating a zero-tolerance food-Nazi approach to diet and nutrition, which isn’t my intention. Your body composition and health is dictated by what you are eating 80-90% of the time. There is absolutely a place for treating yourself and eating the foods you enjoy, in moderation. You may wish to do this in the form of a ‘cheat day’ in the week where you eat what you want or you may wish to just indulge once every few days with snacks or unhealthy meals. There is no golden ticket to eating what you want, when you want, but by eating well most of the time you can allow yourself treats. This acceptance means you feel less guilty when you do indulge. However, you need to avoid the mindset of counting down the hours to your cheat day, finding each minute a Herculean struggle that edges closer to the golden reward of a huge feast of excess at the end. By focusing on the benefits that eating well brings and concentrating on your improved energy levels, physique and wellbeing you will be able to view your indulgences as enjoyable treats, rather than the whole reason you’re eating well. This is a really important point that needs to be thought about and considered if you’re to have any success with improving your diet and health. One more point I’d like to make about treats – make sure they truly are delicious to you. Make sure they are truly a treat and a pleasure. So, unless you really love McDonalds or Coke (and I find it pretty hard to believe that anyone truly loves either), then don’t waste your treats on this rubbish. Save it for something you really enjoy, whatever that might be. For me it would be something like cheesecake or chocolate. Or perhaps some fresh hot chips with beer. When you’re considering eating something that is detrimental to your goals, consider the Reward Vs Risk. The Reward is the pleasure of eating it Vs the Risk of sabotaging your goals and your health. Try and weigh this up when making a food decision. For example, today I was given a processed ham and cheese sandwich on white bread for free in my local coffee shop. It looked pretty good and would’ve tasted OK, but not really that great. I weighed up the Reward of eating it (OK taste and food satisfaction) against the disruption to my goals. It was a pretty easy to decide that it wasn’t a fair trade, so I chose to give it to my building’s security guard. 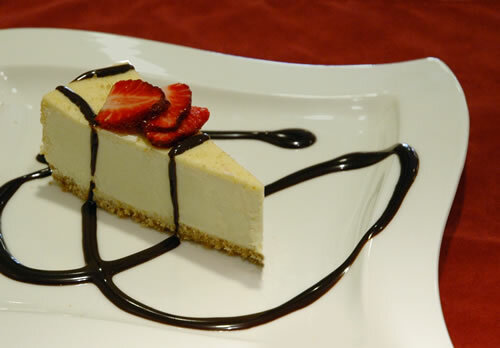 If I’m out for a meal with my friends and I’ve eaten well that day and I’m offered a dessert that looks delicious, I’ll often weigh up Reward Vs Risk and decide it’s worth it. Often a good or bad food decision comes down to a moment. You may be at the supermarket checkout and see a chocolate bar; you may be queuing at Starbucks eyeing up that muffin, or you may be offered a desert menu after a lunch. I think here is where it takes just a moment of strength to overcome this. See it as a test of your will power. Whether your goal – weight loss, to look good, improved health etc – focus on that. Focus on how you’ll feel when you’ve met your goal and how annoyed you’ll be with yourself if you give in, and be strong. Once this moment has passed and you’re out of the store or back at work you’ll feel good for being strong and your craving will have gone. You’ll wonder why you craved it so much in the first place. Do this often enough and it will be become habitual; and plan your treats (Friday night out, meal with friends) and they’ll be guilt-free. I have many clients that say they struggle to eat well as they have many functions, business meals with clients and networking events to attend to. I think that most of the time these occasions are used as excuses to indulge, with people telling themselves that it’s rude to refuse the wine or food on offer. However, I do appreciate that sometimes you can’t refuse certain foods that are on offer and drinking with a client can strengthen a bond, especially in some Asian business cultures. Therefore, the best way to deal with this is to eat perfectly in the day leading up to the event. 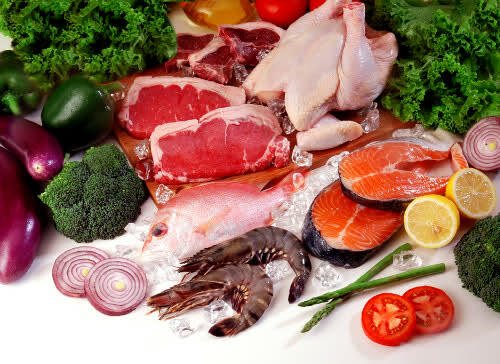 By perfectly, I suggest a low-carb, low-fat diet during the day – so snack on vegetables, lean meats and some low sugar fruit and drink lots of water. 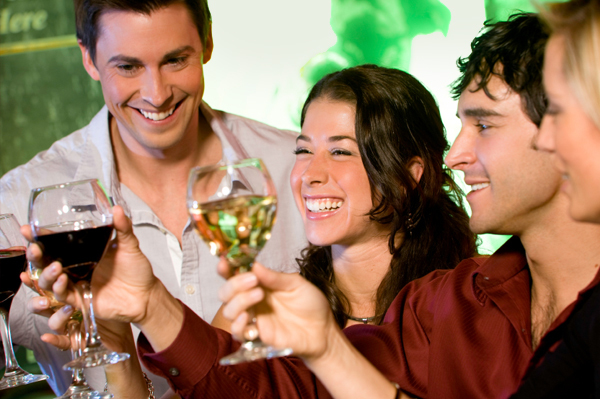 If you are going to drink alcohol then choose generally lower calorie and healthier food options available and if you’re not going to drink much alcohol then this approach allows you to indulge with the food. Exercise self control and restraint during the day, and if you feel hungry you can just think about your treat at the end. This should be enough to keep you disciplined. After all, life is about balance – in this case, sacrifice in the day, indulgence in the evening! By taking this approach you should still have a calorie deficit that will work towards weight loss/maintenance (if that’s your goal), and the day will be a step forward, rather than a step back. There is a strong argument for the limiting or eliminating of beverages that contain calories. Or put another way – your calories should be chewed. I would recommend that you avoid carton fruit juices – even if they’re ‘100% juice’ they have lost a lot of their nutrients through the concentration process and are pretty sugar and calorie dense. Try and limit juices to freshly squeezed and even then drink sparingly. Soft drinks should just be plain avoided. They’re packed with added sugar and often sweetened with high fructose corn syrup and many additives and chemicals, and so I find it hard to believe that after weighing up Reward Vs Risk that anyone would choose to drink it. With all the rubbish that’s in these drinks try to view them as toxic. However, if you simply love soft drinks then by all means make that your 10-20% treat and drink them sparingly. I must admit, one of my pet hates is hearing “I don’t like water” or “water is boring”. Water is the foundation for all life on this planet, we’ve been drinking it for millions of years without problems. It’s “boring” because you’re addicted to an unnatural taste explosion and you simply have to get over your addiction and get used to drinking what we’ve been drinking since time began. If you really struggle with this, try adding a slice of lemon or lime to give it some taste. Or add ice to make it more refreshing. At the risk or sounding like Bono or Bob Geldof, when you consider there are millions of people in the world who don’t have access to clean water the complaint that water “doesn’t taste nice” looks all the more pathetic. Zero-calorie beverages such as Coke Zero and Pepsi Max are fine in moderation. There were reports that they caused an insulin spike but no research or evidence has backed this up. I recommend keeping fruit consumption to moderate levels. Fruit is good for you and has many nutrients but they also contain sugar in the form of fructose, which isn’t good for you in excess. Fructose, unlike glucose, can only be utilised by the liver to replace glycogen levels, whereas glucose can be used by all cells in the body. Therefore any excess fructose in the diet will be stored as fat on the liver (much like with an alcoholic). So in summary, eat moderate amounts and a healthy mix of different fruits to get a diverse range of nutrients, but don’t overdose on one kind of fruit, especially high sugar fruits such as mango or pineapple. Dehydration causes poor body function and performance, but unfortunately our level of thirst is not the best indicator of hydration, and we only feel thirsty when we’re already dehydrated. You probably don’t need me to tell you it’s important to stay hydrated in Bangkok. A lot more water is lost in this hot environment and I’d recommend starting the day with 2-3 glasses of water and during the day drinking at least 2 litres if you’re not doing anything, more if you’re exercising or spending much time outside. Try and get in the habit of having a bottle of water with you, out and at work. Check out this hydration calculator for a more accurate recommendation based on weight and personal circumstances. Many people confuse thirst with hunger, and sometimes this thirst trigger can cause unnecessary over-eating. Bear this in mind when you’re feeling peckish but have recently eaten. 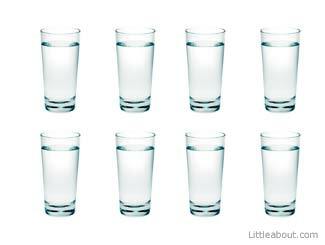 Have a large glass of water and wait 10 minutes – It might be enough to calm the craving. Our body releases many hormones that determine the health and functionality of our body. One such hormone is cortisol, which is secreted by the adrenal gland in response to high levels of stress. Cortisol triggers a hunger response in the brain and signals cells to store fat, especially in the abdominal area. Cortisol levels are shown to be elevated by excessive caffeine consumption, stress, lack of sleep, low exercise levels and poor diet. So be sensible with your coffee drinking and try and get a good balance between work and rest, stress and relaxtion/recovery. Research has also shown that long steady cardiovascular exercise of over an hour or so can cause cortisol production. It’s my opinion that shorter, more intense bouts of cardio are more beneficial overall and produce results that better contribute towards most people’s fitness goals, but that’s getting into an area beyond diet, which is what this page is about. Our body is a very complex machine and we don’t fully understand how it functions, but if you pay attention to the complete picture you’ll see the health and fitness results you want. If you neglect these things and just focus purely on what you’re eating and/or exercise, you may find that progress will be stunted and you don’t get the results you want. It’s imperative that you pay close attention to your weight if weight loss/gain is your goal. If your goal is to lose weight and that’s not happening, you need to cut calorific intake (how much you’re eating). If you’re trying to gain and not seeing results, you need to eat more. That’s it. Understand this, pay close attention to it and act on it by eating more or less to hit your goals. Our weight fluctuates by a few pounds due to hydration levels and whether we have food inside us. Therefore, weighing yourself more than 1-2 times a week is pointless. Try not to be obsessive with the scales. Try to weigh yourself under the same conditions and hydration levels each time, for example first thing in the morning. Many people get great results with a diet or plan… until it stops working. This is pretty common and can be demoralizing and demotivating. Generally, it’s much easier to lose weight when you’re overweight and obese people who start eating right often see astounding results at first. But when you get more into the ‘normal’ and healthy weight range, things become a little more difficult sometimes. Often people are happy with their bodies, apart from a bit of stubborn fat, or perhaps something with their shape. Our bodies have evolved to store fat as an energy source for when food is scarce, and it hasn’t quite caught up with the fact that there’s a supermarket down the road with a virtually endless supply of food. Therefore it doesn’t like dropping below a certain weight in case it needs to burn that fat later for energy. After all, we have evolved to survive. For men, dropping below 10% body fat becomes hard for this very reason, and lots of guys find their plateau around this level. Where we burn fat is largely due to genetics. You cannot ‘spot focus’ or burn fat in a specific area (such as stomach or thighs). When your body burns fat for energy it will not take it from the stores (areas) that you necessarily want to burn. In overweight people, fat is usually lost in the face and neck first, which is often welcomed, but later on you may find some areas stubborn. The first thing to remember is that weight loss in not linear – you will not necessarily lose a pound each and every week. You may lose a pound each week for 3 weeks, then see no change for a week, then you may lose 2 the week after. Remember this and try not to become disheartened. Secondly, sometimes diets just stop working so well for people. Perhaps you need to change things, increase the intensity or type of your exercise or try something different such as intermittent fasting. Perhaps, as touched on before, you need to look at other areas of your life like stress and sleep. This can sometimes be enough to break through your plateaus and continue seeing results. So experiment, see what works for you, keep focused on your goals and don’t lose heart. We will never fully understand diet, nutrition and the human body. There are many nutrients contained in quality foods that benefit us in ways we can’t measure or understand now. Likewise, there are many harmful substances in some foods that we don’t know about. People have had incredible results and recovered from debilitating diseases after making positive changes to their diet and you only have to look at rates of obesity, type 2 diabetes and heart disease to see the effects a poor diet can have. 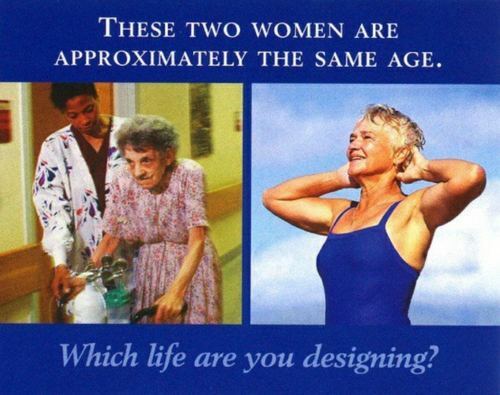 So use some common sense, experiment with your unique body and its needs, exercise balance in your life and diet and look at the whole health and fitness picture and you will be a happier, fitter, more attractive and healthy person. Good luck! Don’t take my word for it! Do your own research. Starting here. Leangains is one of the most respected and foremost guides to intermittent fasting on the net. As the name suggests, it’s all about getting LEAN! BodyRecomposition is a fantastic site with hundreds of articles on body composition. More than just an outline, this site goes into the research and science behind it’s messages. This guide to insulin levels is a great piece. Mark’s Daily Apple is a site that looks at all things primal living – diet, exercise and lifestyle. A good resource. Here is a fantastic and inspiring success story from someone who embraced the primal diet. The GI Diet offers one of the best and easiest to follow guides to the glycemic index. Doctor Mercola adopts a rather militant approach against unnatural foods. Makes for some interesting reading. I am not a medical doctor or nutritionist and this ‘diet overview’ is a collection of my own experiences and extensive research. 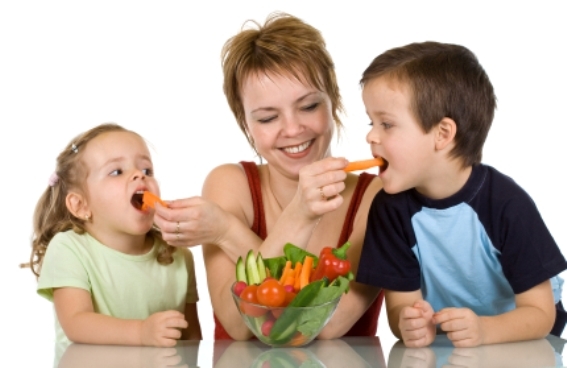 Before embarking on a new diet you should consult a professional.